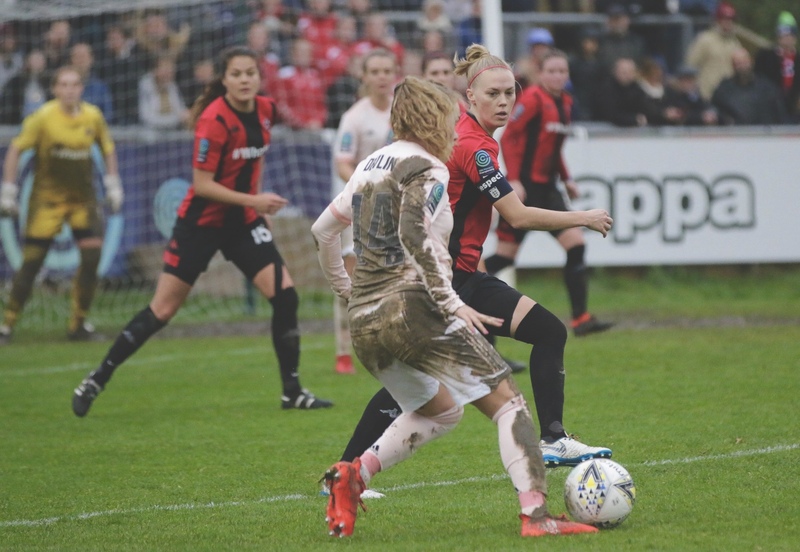 Manchester United Women picked up their eighth league win of the season against a spirited Lewes Women thanks to two second-half goals from Molly Green and Ella Toone. I’ve been a Manchester United fan for the past twenty-seven years but it is only in the last few years that I’ve developed a love for the women’s game. 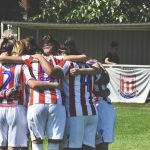 Like many, it’s always been a bit of embarrassment that the reds weren’t represented at adult level in women’s football despite being a Regional Talent Club. I was chuffed to bits to hear that a team was being set up for this season and that they’d brought in Casey Stoney as manager. 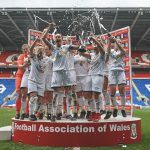 United’s placement into the Women’s Championship has split fans slightly, I believe that their placement within that league is sensible and gives them the opportunity to earn their spot in the Women’s Super League. There is clearly a disparity in ability between United, a fully professional squad, and many of semi-pro sides within the WC, but the nature of football is that there can often be a dominant team within a league. Part of the reason we created Since 71 was that despite the increasing coverage of international and WSL level women’s football, there was very little from the leagues below and having a stellar side like United is really helping to raise the profile of lower league women’s football. Baring a monumental collapse they will be promoted as champions. 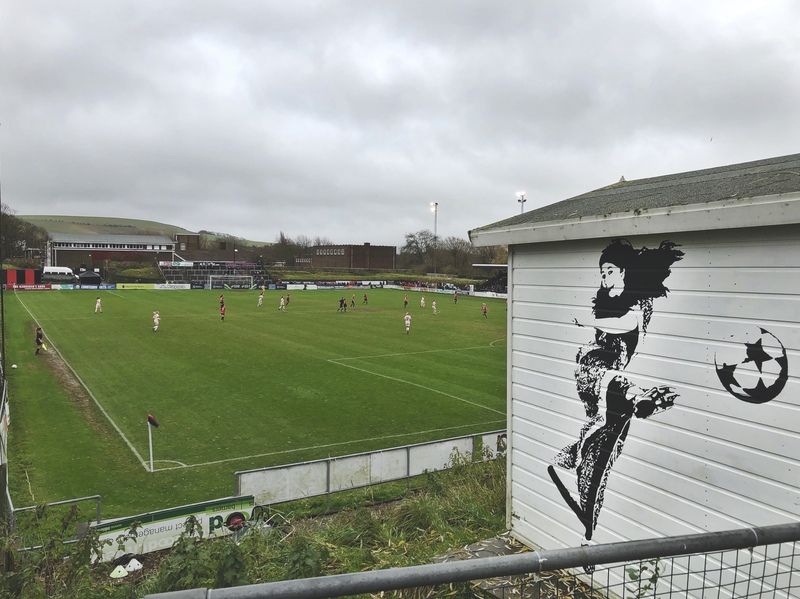 I was really excited to visit the Dripping Pan and visit Lewes. I have heard and read so many positive stories about the way that club is run. 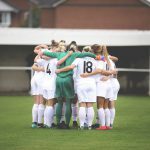 Many of you will probably be aware that they have become the first professional or semi-professional football club to pay its women’s team the same as its men’s team, as part of its Equality FC campaign. Arriving at the ground was easy enough, I managed to find a parking space about a ten-minute walk from the ground. The Dripping Pan is a lovely mix of modern and traditional football grounds and I loved it. You have a modern all-seater stand behind the dugouts. Opposite there is a grass verge levelled off at the top where you can stand. This area appears to be dog friendly and there were plenty of pooches there to watch the game and hoover up any fallen chips. Behind each goal was a terraced area, one old uncovered stand, the other much larger, more modern and covered. That stand was pretty full due to the wind and drizzle that was coming down for much of the game. Arguably the best seats in the house were the beach huts which were available to hire for £40 per game or £5,000 all season. Next to modern terraced stand was the bar and changing rooms which reminded me of a cricket pavilion and this is where the players emerged from. Being from Portsmouth I was disappointed not to see Sammy Quayle in the starting line up for Lewes. 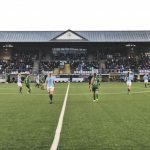 It was clear from the early stages that Lewes had adopted a pragmatic approach to the game, knowing that if they were going to get anything out it then they’d need to be organised and work as a team because United were likely to have a lot of the possession and. In the opening minutes Lewes were coping well and not allowing United to create any clear-cut opportunities. 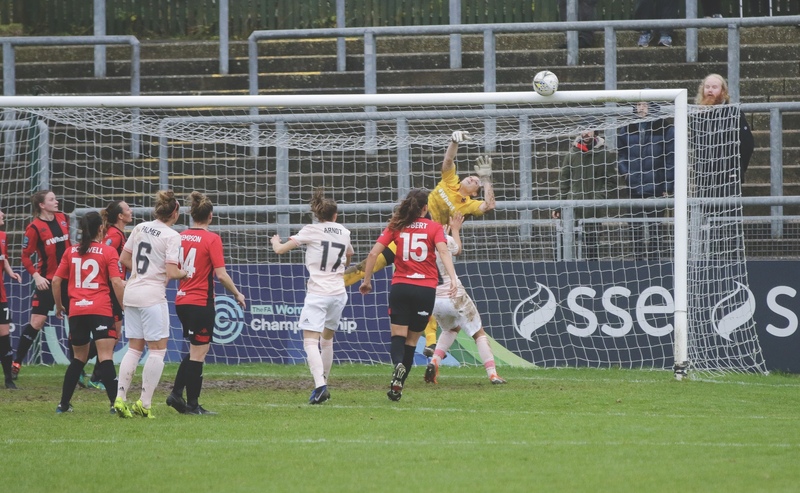 United were patient and the bright Katie Zelem forced the Lewes goalkeeper Faye Baker into making a smart save. Millie Turner was unable to convert the rebound, her shot from close range hitting the post. Baker made a terrific save from a Zelem corner which looked like it was going to curl into the top far corner of the goal. It’s not clear if she was aiming for this or if the wind had taken her cross closer to the goal than she’d planned. I’m sure that she’ll say that she meant it. Zelem had a free-kick from close range and she will have hoped to have done better as her shot was quite tame and easily saved. Lizzie Arnot was looking dangerous on the left wing and she became the second United player to hit the post. 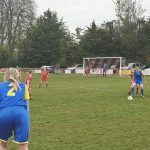 Lewes nearly snatched an unlikely breakthrough just before half-time when Georgia Robert forced a save from the Reds’ goalkeeper Siobhan Chamberlain before the rebound was cleared off the line. Lewes would have been happy to go into half-time with the score 0-0. I was surprised to see that Stoney made two changes for the second half by bringing off Aimee Palmer and Arnot for Charlie Devlin and Leah Galton. 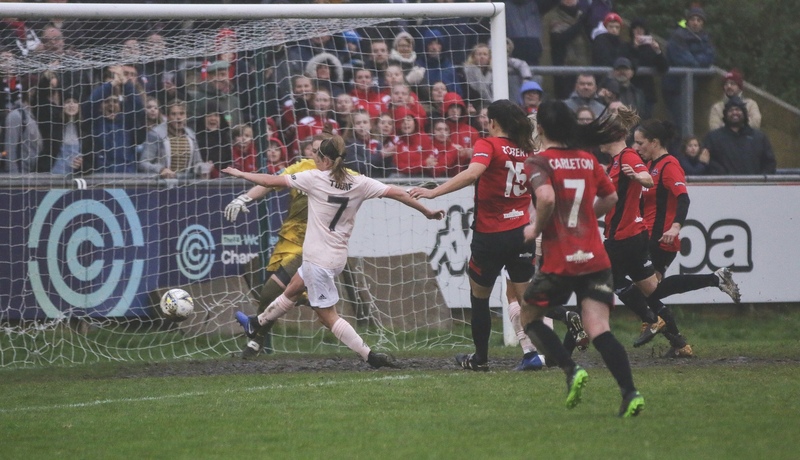 United opened the scoring in the 51st minute when the United captain, Alex Greenwood found Jess Sigsworth on the left wing, the striker was able to cut inside before squaring the ball to Green who’s shot beat Baker. in the area for an emphatic first-time finish. Lewes’ lone striker, Rebecca Carter, worked tirelessly and was mainly restricted to half chances. 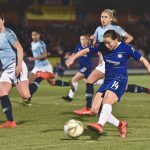 She was nearly rewarded for her hard work when she found herself in on goal but was unable to seriously test Chamberlain. Carter’s disappointment was evident, she knew that was a big chance to level things up. Half-time substitutes were involved in the hunt for the second goal which would in all likelihood kill the game off for United. Galton and Devlin both helping to tee up Sigsworth for attempts that were thwarted by the busy Baker. Carter was replaced by Quayle in the 58th minute and United responded with subs of their own bringing on Lauren James. United were awarded a penalty with ten minutes to go. Greenwood’s penalty was well saved by Baker but Toone was the quickest to respond to the rebound. 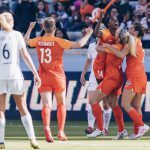 She finished from close range after Baker’s parry cruelly stopped dead in the mud and sat up perfectly for the United midfielder. United played out the final ten minutes and the match finished 2-0 to the league leaders. 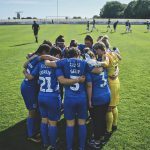 They stretched their lead at the top to four points after Tottenham Hotspur Ladies were beaten by Durham Women. 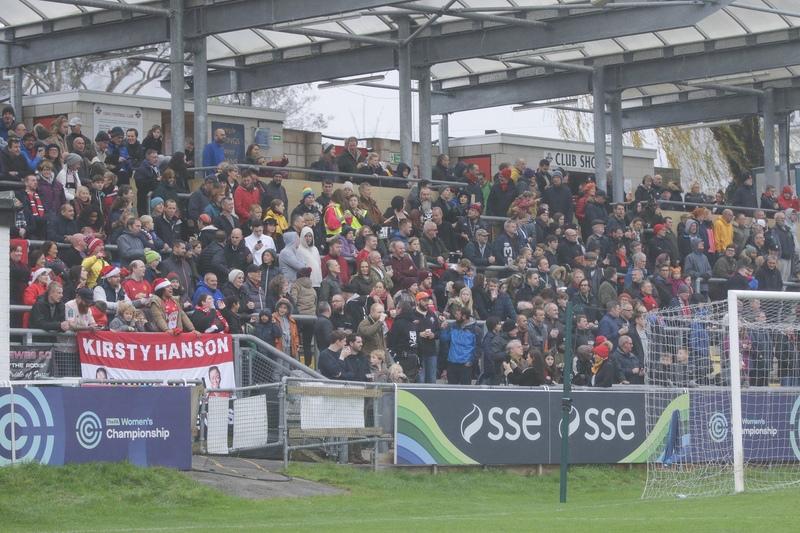 Lewes can be really proud of how they applied themselves, they appear to be a lovely club with great fans and staff. I’m looking forward to heading back in the near future. 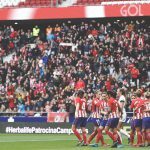 In their next home game against Charlton Athletic they are seeking to break the world record for the most Suffragettes ever at a football match. Manchester United Women: Chamberlain, Smith, Hartley, M. Turner, Greenwood, Zelem, Green, Palmer; Toone, Sigsworth, Arnot.